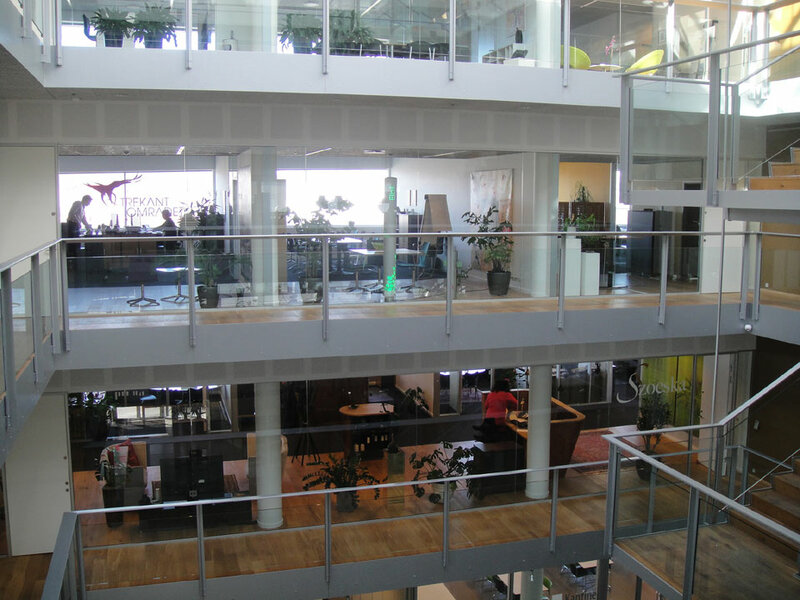 The CE market product has been testet for more than 3 years ( 2015 ). 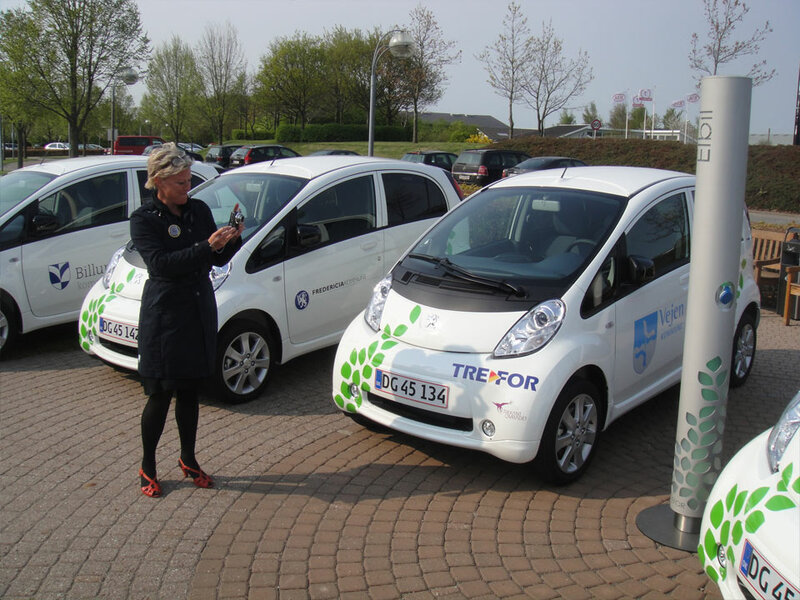 Mette Mikkelsen leader of etrans by the press release. 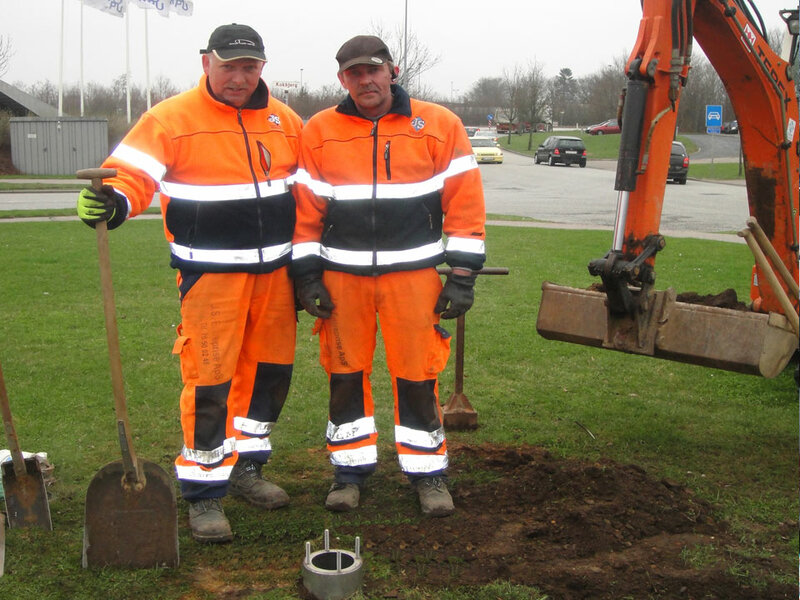 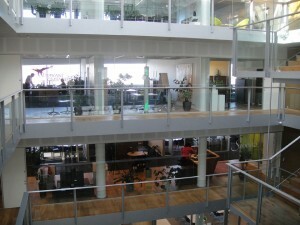 It is the intention that this piloteproject will lead to more electric cars on the roads of denmark. 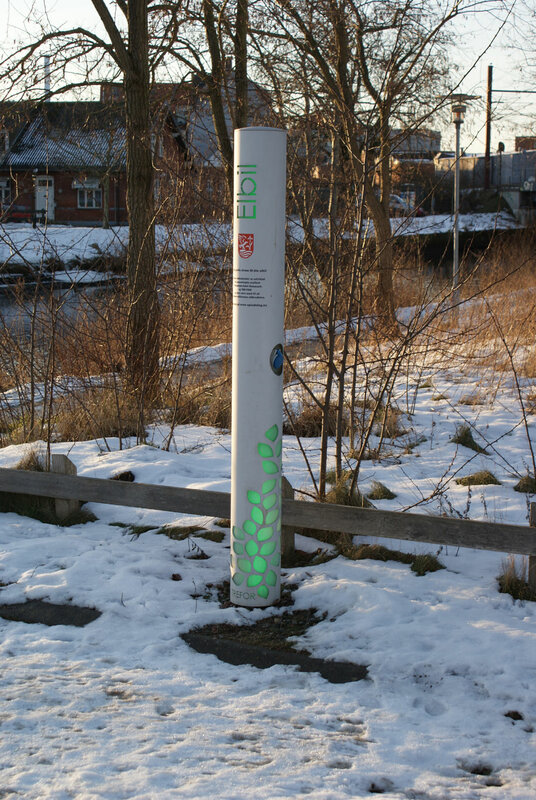 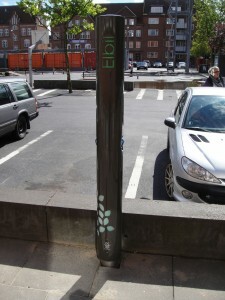 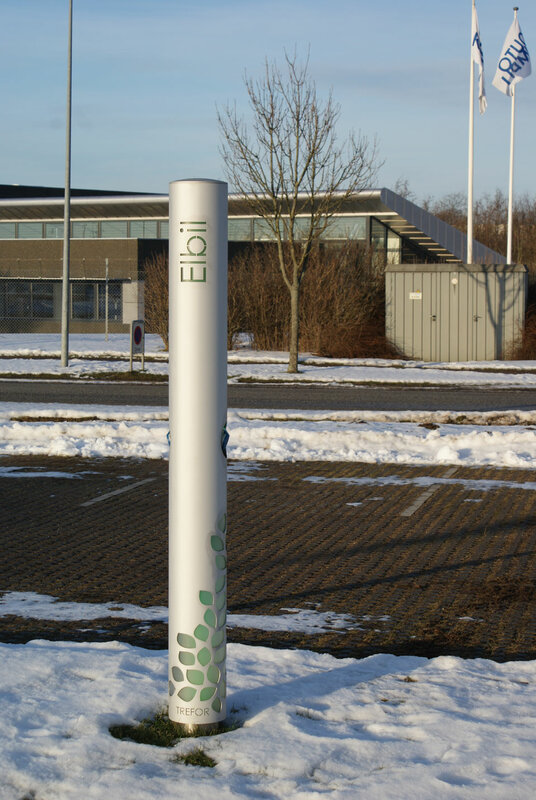 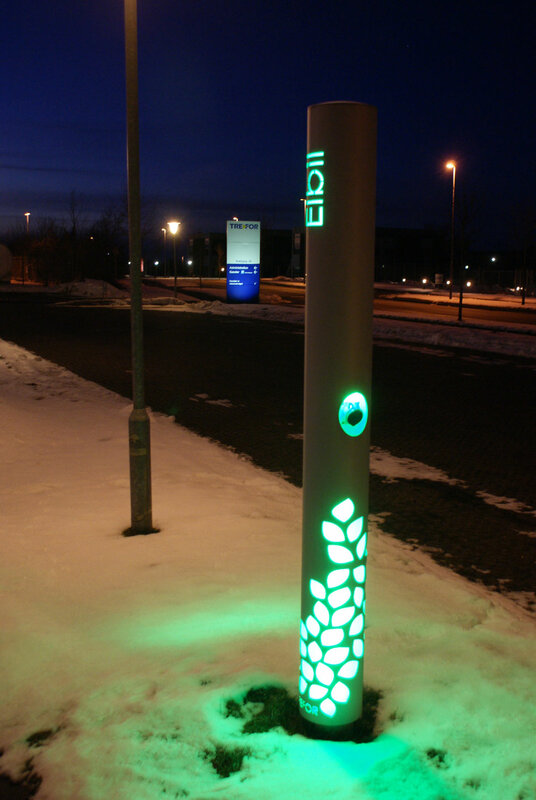 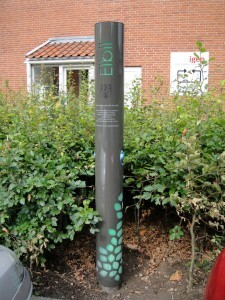 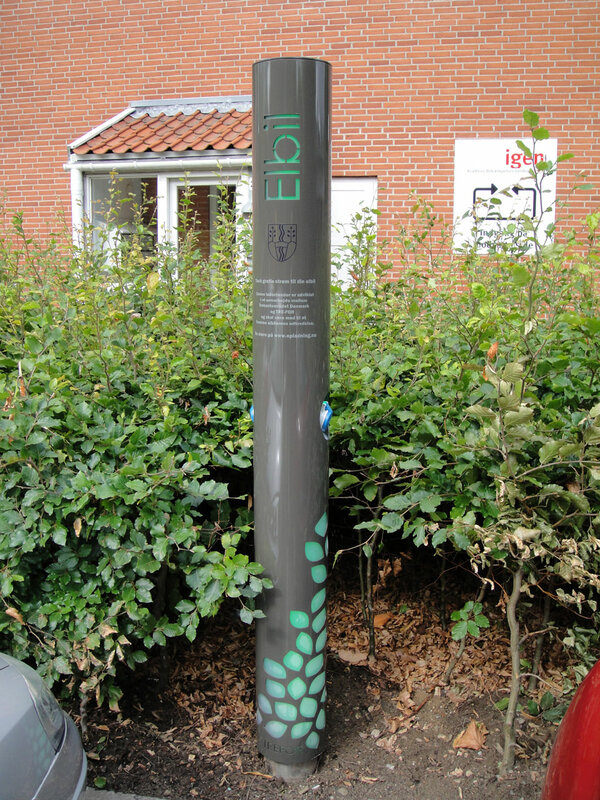 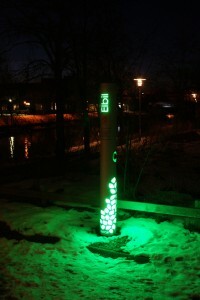 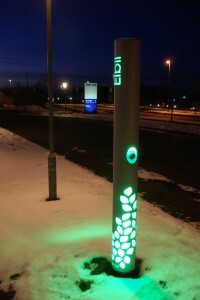 The chargingstation is sending a clear signal ELBIL which means electric car in Danish. 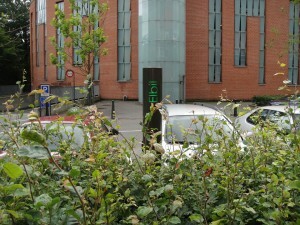 Its not nessesary to put a sign beside the unit, to tell what it is, as for most of the competitors on the marked. 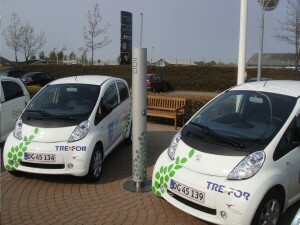 Trefor Director in dialog with a mayor. 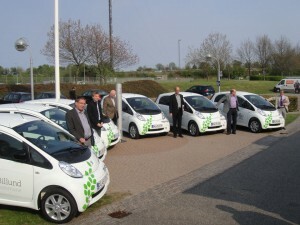 1 ecar for each city, for user testing. 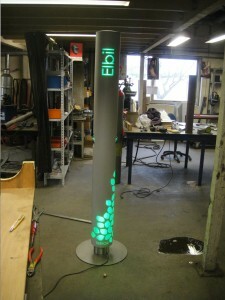 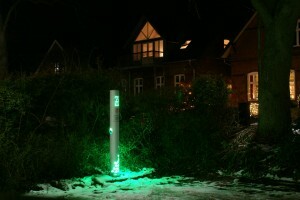 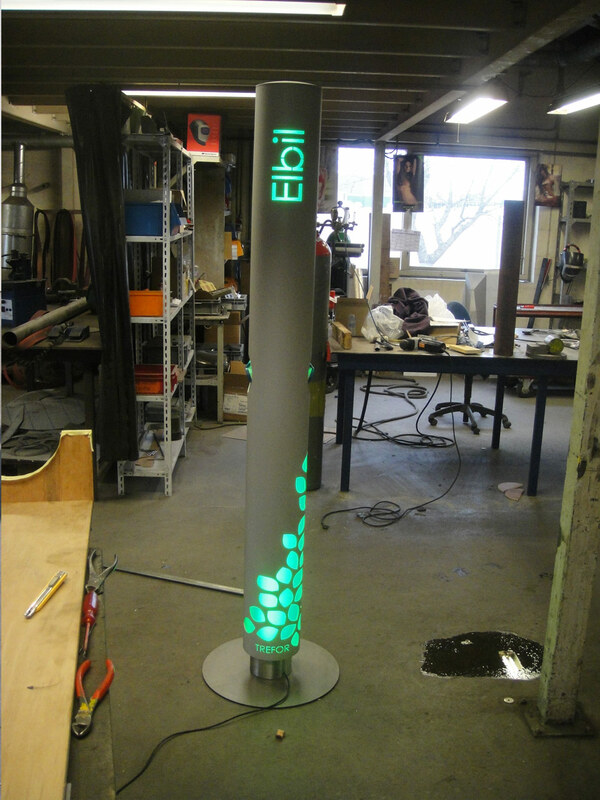 Here you can see the prototype with light in it, during mounting.